Named after the Philadelphia-born Caspar Wistar, American wisteria is a twining deciduous vine known for its lilac-purple, pea-like, fragrant flowers that bloom in pendulous racemes in early summer. 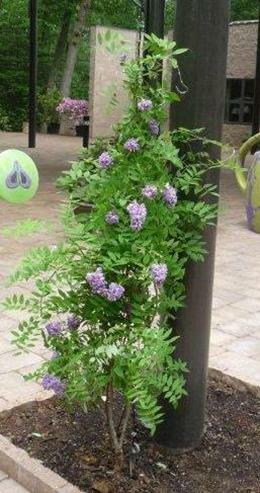 In its native habitat, American wisteria can be found in moist woodlands or along streambanks in fertile, well-drained soils. For the average homeowner, however, it is a great plant for training against a wall or over a sturdy arch or pergola where it can receive at least six hours of full sun each day. 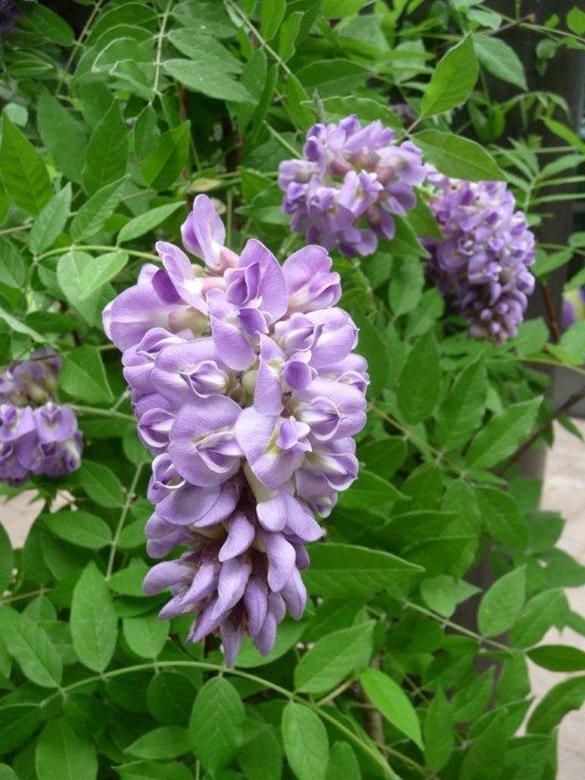 American wisteria is a hardy plant that does well without fertilization and only needs to be watered during times of drought. Pests and disease can be a problem with this plant, but proper care will help keep it healthy.